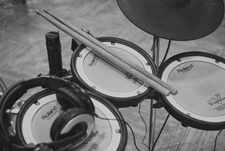 Practice drum kits are a great way to improve your drumming quietly! We all know that the loudness of drums can be a difficult factor when it comes to getting in that much-needed practice time. Setup time and lack of mobility can be an issue for practice drum sets. If you move around a lot or don’t have a dedicated practice space, then this may be limiting your time. If you want some easier practice options then check out this article. 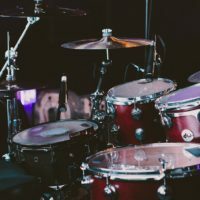 We discuss built-for-purpose practice drum sets, drum practice pads, electronic drum sets, low volume cymbals, silent stroke heads for acoustic drum sets, and ideas for soundproofing your practice space. When it comes to practicality and functionality, these kits are a great choice for practicing. They are light, portable, easy to set up and even sound good. That would be pretty much all requirements for a perfect practice kit. In most cases, their design is quite simple. Common drums usually feature several stands, lots of screws and other things that will take a lot of your precious time to set up. Besides convenient setup and great portability, the great thing about these kits is that positions of pads are pretty similar to a common drum set. My advice would be to pick something relatively simple. Keep in mind things like easy setup, portability, and overall practicality. It’s at a pretty good price range for a sturdy unit like this. We really recommend the DW Workshop Go Anywhere Practice Set, where everything is mounted on a single stand, which in reality means a lot of benefits. The whole kit consists of five pieces, so setup won’t take more than a couple of minutes. Also, everything is pretty sturdy and stable, which is another important thing for a convenient playing. 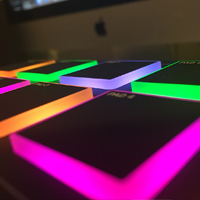 The drum pads are large and you can easily adjust the position of each one. Finally, the whole kit is very quiet, so you can practice at any time of a day or night. Practice kits are a great thing but sometimes even these kits could be inconvenient. If you’re on a constant move, you would probably need something smaller, something that can fit your luggage. In that case, practice pads are perfect. The biggest benefit of these pads is their portability. These will allow you to practice anytime, anywhere. Also, they are quite affordable, so should be an essential tool of every drummer. Despite we are talking about pretty simple tools, today’s market offers various types, with different characteristics in terms of size, sound, surfaces, and overall versatility. While most basic pads come with just one or two types of surfaces, those more complex pads feature several different surfaces. For example, Evans Realfeel is a typical practice pad. It is a two-sided pad which comes in two dimensions, with either 6 or 12 inches in diameter. The bigger one is definitely more convenient to play, while the one with a smaller diameter seems perfect if you travel a lot. Both of them feature two sides, with different tonal characteristics. Different materials on these two sides offer less or more rebound, so you can practice various kinds of strokes. Some drummers might find these pads uninspiring to practice on, but the fact is that you can work on yourself in many ways with these simple tools. It’s not just about most basic things. You can effectively work on various complex techniques as well, not to mention timing and similar things. Playing with a metronome is a great thing, even if you’re practicing on this small pad. If you still feel you would need something more complex, check the Drumeo P4 Practice Pad. This one comes with four different surfaces, on three levels. 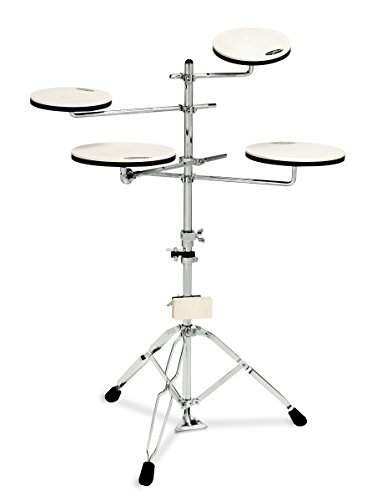 Practically, it simulates the feel of actual drums, which is great if you want to practice various stroke combinations. Sometimes, quiet playing is everything you need. Many drummers still prefer to practice on their own, regular drum set and the only potential issue is noise. Drummers have traditionally used various kinds of muffling techniques to mute their drums. 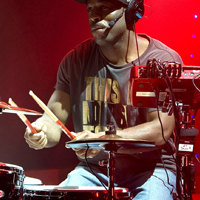 Improvised ways of silencing acoustic drums can be effective but it they can greatly reduce the experience of playing the drums set. In most cases, muted drumheads sound quite uninspiring, and could alienate many drummers for daily practice routines. Fortunately, methods for reducing the sound of acoustic kits are getting much better these days. For example you can replace the heads on your drums with Silent Stroke drumheads, which are REALLY quiet. The same goes for cymbals. Low-volume cymbals are practically nothing more than perforated cymbals, though some manufacturers also use special kinds of coating. In any case, you can count on a significantly lower pitch and shorter sustain. These are significantly quieter than regular cymbals. Check out our article on silent stroke drum heads and low volume cymbals to learn more. Many electronic drums sets can be great for quiet practicing. Sets with mesh drum heads can be a really great option because they mimic the feel of acoustic drums while also being very quiet. Check out our article on the best electronic drums sets to learn more. 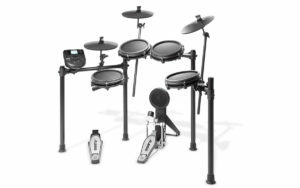 The Alesis Nitro Mesh kit is a great entry level option that could well suit your needs. 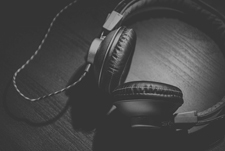 If noise is the only thing to bother you, you may consider soundproofing your practice room. These days, you can successfully insulate your room without spending thousands of dollars. You can use affordable materials that are common in the construction industry, such as weather strip tapes, which are perfect to insulate your doors and windows. Also, consider fiberglass curtains and panels to insulate doors, as well as soundproof curtains which are a very convenient solution for windows. Finally, there is a whole bunch of different materials that can be used to insulate walls. You can go for familiar acoustic foams, which are used in studios. On the other side, you can also try with different kind of materials that are frequently used in the construction industry. Some are cheaper, while others are more efficient. In any case, it definitely won’t cost you a fortune. 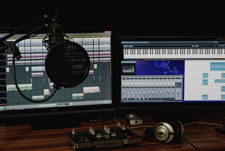 If you are interested in soundproofing your practice room, check our “How to Soundproof Your Drum Room” article, where you can find lots of tips and advice on this subject. So there you have it. After all of these options you should have no excuse but to get out there and practice your drumming! 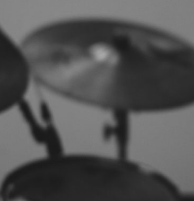 Of course, alternative practicing may not replicate the real experience of playing drums. However, the many hours of training using your practice drum kit or pad really translates to fantastic improvements in your drumming. 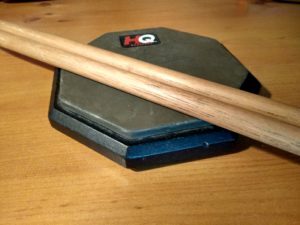 Having at least one quiet practice option should be one of the most essential pieces of equipment for every drummer.